A new clinical trial of two immunotherapy drugs to discover how effective this combination may be in treating aggressive prostate cancers has already begun to show some promising results. Prostate cancer, when found early enough and when it’s a non-aggressive strain, has typically been easier to treat. It’s much more problematic to treat more aggressive cancer strains or those found later in their development in an effective manner. However, one currently ongoing US-based clinical trial seeks to change all that through targeted immunotherapy medication, an innovative, and perhaps even counter-intuitive, approach. 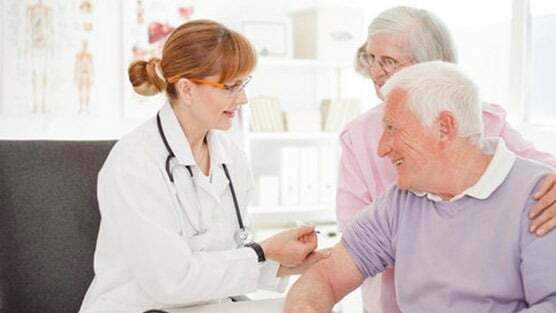 The Checkmate 650 trial, which is currently examining the efficacy of the immunotherapy drugs nivolumab and ipilimumab when it comes to treating castration-resistant prostate cancer, has quite some time before research is concluded. The trial has a primary completion date of December 2018, with monitoring extending into 2022, but initial feedback from some prostate cancer patients has been remarkably positive according to University of Chicago Medicine, one of the medical centers involved in the study. Standard operating procedure for treating aggressive cancers of all kind is often chemotherapy, which works by exposing tumor cells to toxic chemicals. Unfortunately, the rest of the body is exposed to these chemicals as well; when combined with radiation therapy, chemotherapy can ravage the human body all in an attempt to cure it. Immunotherapy, meanwhile, is a much less toxic approach. The two medications in this trial, for example, are used to simulate the body’s immune response and help activate T-cells, the strongest tools our immune system has against cancer cells, making it easier for them to do their job in attacking and killing tumors — something that UChicago Med has reported seeing in early testing. It’s much too early to make any determinations on whether the Checkmate 650 trial will lead to new avenues of prostate cancer treatment. UChicago Med’s early results are incredibly encouraging but are in no way definitive, which is why the clinical trial will be following participating patients until 2022, gathering data and monitoring the efficacy of the immunotherapy on a longer-term. Still, for those who have concerns about men’s health and treating aggressive prostate cancers, the early successes of Checkmate 650 could be a harbinger of new, more effective therapies on the horizon for cancer sufferers. With early detection methods still far from foolproof, any safety net for men with prostate cancers that fall through the cracks has the possibility of being life-saving.